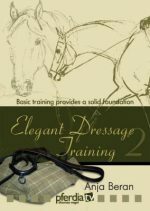 Dressage is the basis of all correct riding and that goes for Pedro Torres, master of working equitation, too. 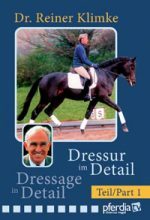 This new and increasingly popular competitive discipline, which emerged in the 1990s based on the old style of working riders from Southern Europe, is ultimately a wonderful combination of dressage, trail and speed elements. 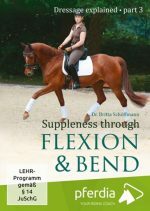 Pedro Torres performs all of the elements with the greatest precision and elegance up to Masterclass level, where all movements are ridden one-handed, with the lightest contact. 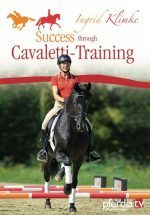 On different horses and together with his pupils, world champion Bruno Pica and Vasco Godinho, the renowned trainer demonstrates the different requirements, explains how to introduce an inexperienced horse to first trail obstacles and shows how to get the most out of training with everyday exercises. The DVD was filmed in Portugal, the home of the Lusitano. Pedro Torres is the world’s most successful working equitation rider and holder of numerous world and European championship titles, as well as the internationally popular and outstanding trainer of the Portuguese working equitation team for trail and speed test. 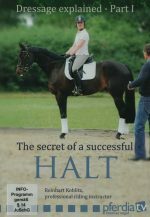 He is also a successful grand prix dressage rider, who is at home in a jumping saddle and even rides in a sulky. 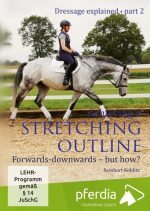 He runs the ‘Quinta dos Cedros’ equestrian centre near Lisbon, as a freelance dressage and working equitation coach.